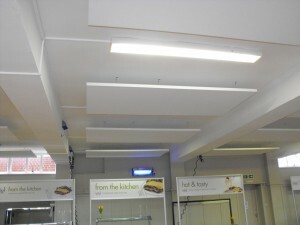 Kent College Operations Manager, Anita Mehta, responded to one of our “Free Acoustic Survey” initiatives, asking “can we visit their dining hall during food service and verify the level of sound and then propose a costed solution”? 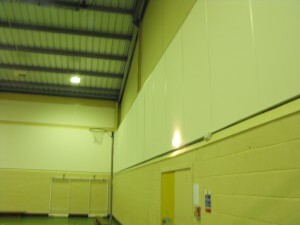 Our survey led to the application of suspended 2.4m x 1.2m x 40mm absorber panels (see photos). 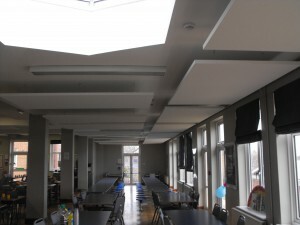 The reverberation in the Dining Hall pre-application was 3.79 seconds and following the installation this had been reduced to a welcoming 0.909 seconds. 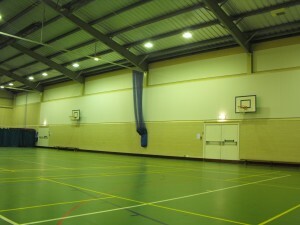 Having enjoyed a successful outcome with the dining hall acoustic treatment we were asked to consider resolving a similar issue, but on a much larger scale; the multi-purpose Gymnasium/Sports Hall measures 39m x 19m x 7m height. The reverberation was variable, but a pretty constant average of 5 seconds did not allow for any clarity in speech and vocal pathology was a constant factor for staff. 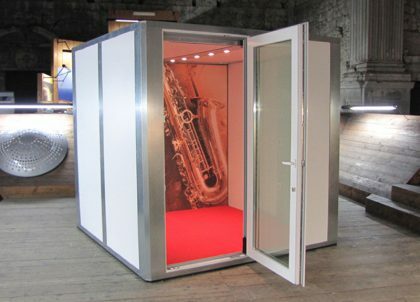 A ribbon of specialist high-impact acoustic panels was placed above 3m to a height of 2.4m around the perimeter, the RT’s were reduced significantly to the point that end-users could hear and be heard without straining their vocal chords and hearing. 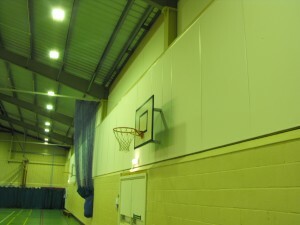 We had an issue with high levels of noise in both our dining room and sports hall and so we appointed Amadeus Acoustic Solutions to install acoustic panels in both locations. 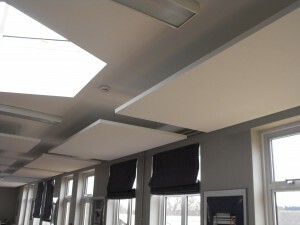 We were very pleased with not only the results (there was considerable noise reduction and softening of sound) but the professionalism of the team carrying out the installation. We would have no hesitation in recommending them.